After sitting with Gov. 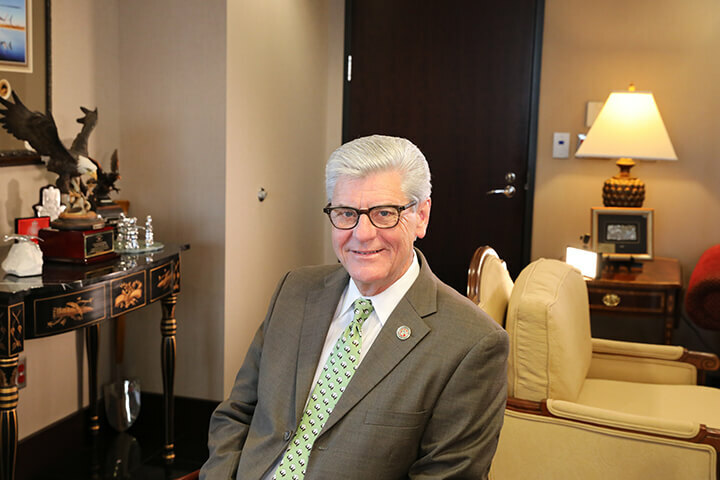 Phil Bryant for a few minutes, it’s becomes obvious just how important farming and agriculture is to him. He credits his upbringing in the Mississippi Delta to planting the seed that farming isn’t just a job but much, much more. The leader who has helped bring thousands of jobs to the state over his eight years as governor says it’s no accident why Mississippi is prospering like never before. Everything leads back to the farm. Even with car manufacturing in Tupelo and Canton, ship building and aerospace technology on the Gulf Coast, and countless other industries in between, Gov. Bryant said it’s agriculture that’s the driving force in the state pushing us to where we are today. In an effort to honor Bryant for remembering the importance of agriculture to Mississippi and assisting Farm Bureau in its endeavors, the Mississippi Farm Bureau Federation honored him with the 2018 Friend of Ag award.